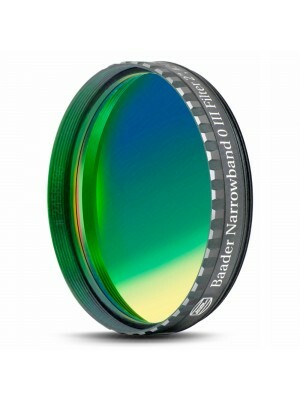 Baader H-alpha 3.5nm filter is a precision grade enforced H-alpha filter for f/10 to f/3.5 optical systems and it opens up the extremely narrow 3,5nm H-alpha world. This enforced contrast results in even fainter stars, providing more signal of faintest nebulae detail. Manufacturing such ultra-narrow filter does require extreme coating homogeneity and very high CWL precision, which these filters are designed for. 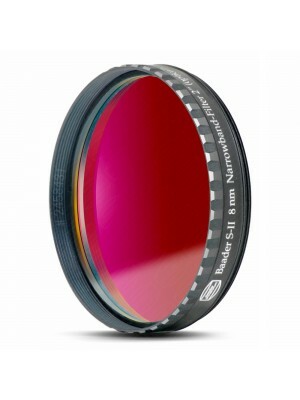 Note: In general this DeepSky enforced H-alpha Filter is not suitable for solar observation. 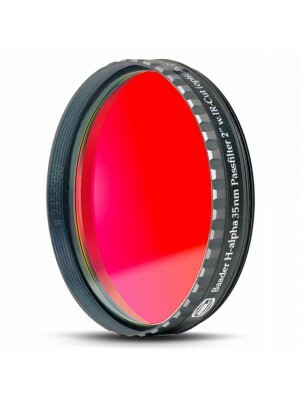 The Halfbandwidth of 3,5nm equals 35 Ångstroem, high-quality H-alpha solar filter from SolarSpectrum start at 0.8 Ångstroem.